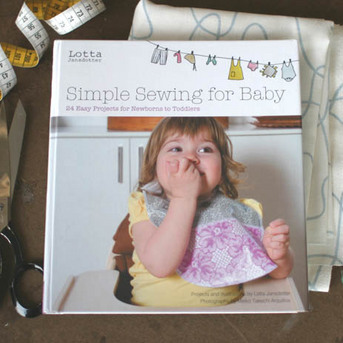 If you find yourself in downtown San Francisco on Saturday, May 16th between 1 and 4pm, please join us at the Museum of Craft and Folk Art for a meet and greet with design and lifestyle genius Lotta Jansdotter, who is launching her exciting new book, Simple Sewing For Babies. Lotta will be teaching everyone how to make a pocket plushie pal, signing books, and handing out cupcakes (That’s right – FREE CUPCAKES AND CRAFTING!). The event is free, open to all ages, and sponsored by the Museum of Craft and Folk Art, the Craft Gym and Chronicle Books. For more on Lotta, please visit her website at http://www.jansdotter.com and tell all your crafty friends! This entry was written by Willo :: WilloToons.com, posted on May 11, 2009 at 8:00 pm, filed under San Francisco/Oakland and tagged craft, San Francisco/Oakland, sewing. Bookmark the permalink. Follow any comments here with the RSS feed for this post. Post a comment or leave a trackback: Trackback URL.